The app provides data and information to field technicians about hazardous jobs or environments and helps document findings for improved worker safety. Accurate equipment information, asset performance data and geo-location capabilities enable them to safely operate in dangerous or unpredictable situations. 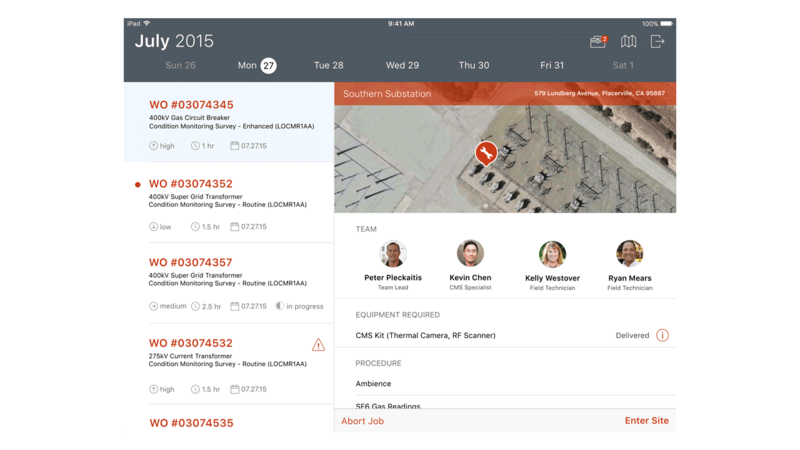 The app also provides notifications of new jobs, weather conditions and other risks that might impact maintenance scheduling or completion. IBM MobileFirst for iOS Asset Inspect arms techs with the mobile tools and analytics they need to make diagnoses based on inspection data. These insights are critical for intelligent work order creation to streamline repairs. Built-in camera and microphone functionalities enable visual and auditory documentation of asset and environmental conditions for future analysis and reference. Technicians can perform online and offline maintenance, with easy access to expert support using FaceTime. This app uses asset and employee data from the field to generate predictive insights for improved decision-making and response to critical events. With real-time contextual analysis, the app is able to predict asset performance issues early, maximize the productivity of heavy equipment and increase its life expectancy. Predictive analytics can also identify “most likely causes” for incidents to help field technicians determine maintenance procedures and inform future maintenance plans. Maintain equipment using analytics to solve problems in the field. Optimize the acquisition and delivery of materials and tools.